Permata Camar is located just off Pantai Sepat and is registered as an NGO. It serves as a home for 48 brothers of age 4-17 years. These boys are either orphans or from a poor family. All of them attend the local primary or secondary schools and stay at the home for shelter and food until they go off for tertiary education. They are constantly in need of funds for the upkeep of the home and to ensure the children are well fed and clothed. 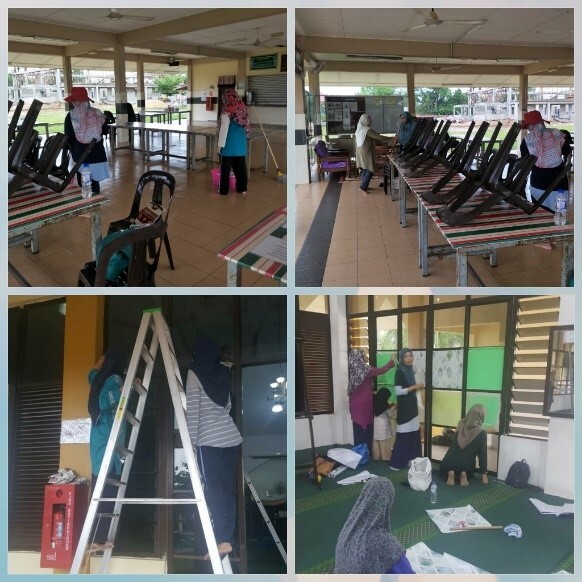 We, the staffs of Dept of Chemistry spent half a day doing communal work at the surau and dining hall. 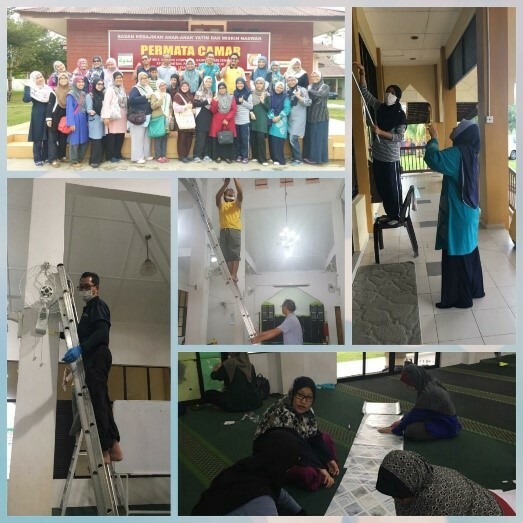 Staffs were divided into few groups incharged on cleaning the window, vacuum the carpet, wash the curtain and prayer mat, clean the toilet and wudhu area and clean the dining hall floor.